Yes, more cash. And who doesn’t want that? People list their actual homes, their holiday homes and their city apartments onto Airbnb. Why? To make cash. So if you had the space to add in a sofa bed, to increase the sleeping space. Which would then increase your income, why wouldn’t you? We are always all strapped for cash, and adding a sofa bed to your Airbnb is a great way of making more of it. Did you know there are 640,000 hosts on Airbnb, with 150 million users. It is active in 191 countries, with 1.9 million listings that are instantly bookable. And I wonder how many of those listings have sofa beds. As I said already, I couldn’t find the actual stat. And counting them up would have meant you might only be reading this post in 2020. But what I do know, is that there are A LOT. Why? Because they only make your space more desirable. As they just increase the value of booking your space. For the customer, and then in turn for you. And most of our customers do. Our sofa beds aren’t like every other sofa bed on the market. In fact our sofa beds are very unique. They don’t require you to remove the cushions. They offer you a proper bed, with an actual mattress. And they feel like actual beds. So although you do have to list them as a sofa bed, they will feel like an actual bed when going to sleep. And your guests will be the first to comment on that. What do good reviews mean? More bookings. What does more bookings mean? More cash. There we are again, back to the good old money! “London remained the UK’s top destination for guests on Airbnb. Over the last year, approximately two million guests stayed at 64,000 listings spread across the capital“. Anyone that lives in London, and is on Airbnb, and doesn’t have a sofa bed within their Airbnb is definitely missing out on a trick. 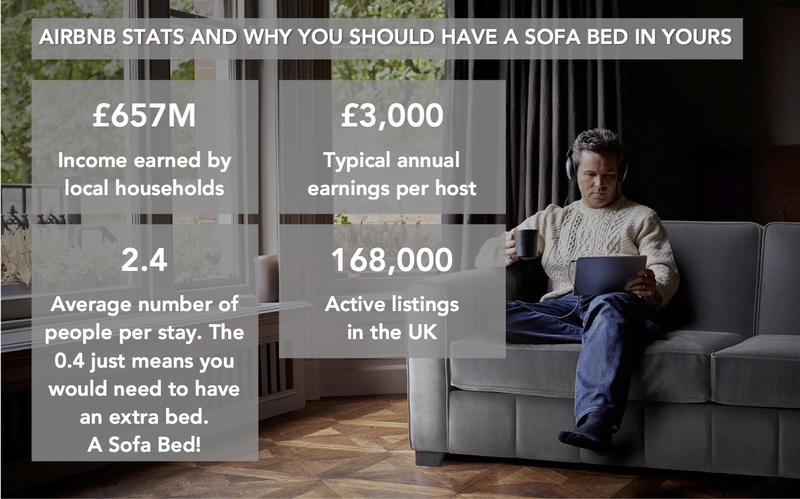 As having sofa beds for Airbnb will just mean that more of those two million guests will be staying with you. We are so tight for space in London. A ‘Spare Room’ is so often out of the question. And by having a sofa bed, like ours that could be used daily, is allowing you to have an extra bed when you might otherwise not be able to. So, why are we even talking to you about Airbnb? 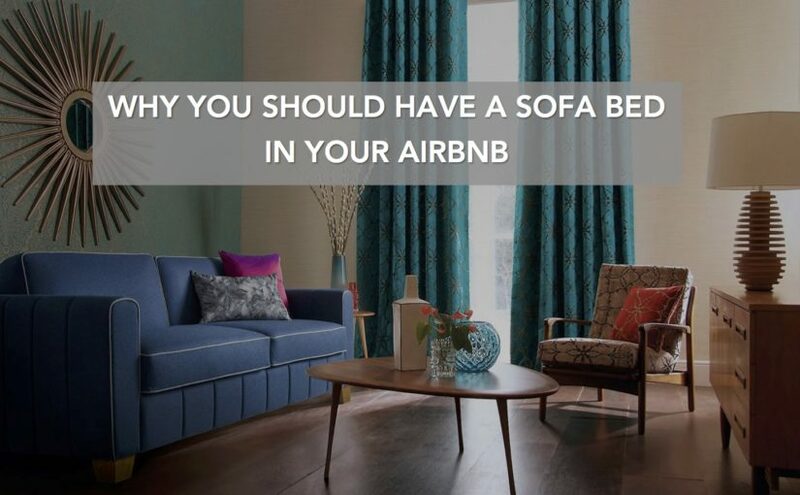 And why are we even talking to you about Sofa Beds for Airbnb? Well…good question. It might be because we are about to launch a brand new sofa bed, called Airbe. It’s designed for…well you can guess! Previous Previous post: Are you looking for bedside lamps?